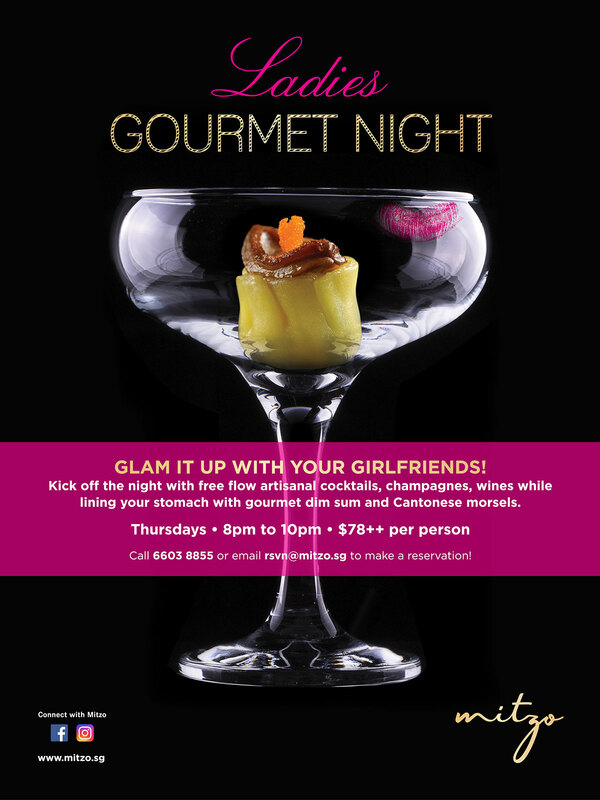 Every Thursday evening, get the ladies together for a night of exquisite Cantonese gourmet and tipples at Mitzo Restaurant & Bar! Enjoy free flow artisanal cocktails, champagnes and a selection of wines while savouring delectable handmade dim sums and Cantonese morsels. Relish the creative dim sums such as Chicken and Shrimp Osmanthus Dumplings as well as Wild Mushroom and Truffle Buns. Pair them up with innovative Asian inspired cocktails including Garden of Eden, a floral and revitalising martini with a Chinese medicinal flower mix, and Ginseng Daiquiri, an Asian infusion twist to the old Cuban classic – both created by Mitzo’s very own mixologist, Marco Pignotta.